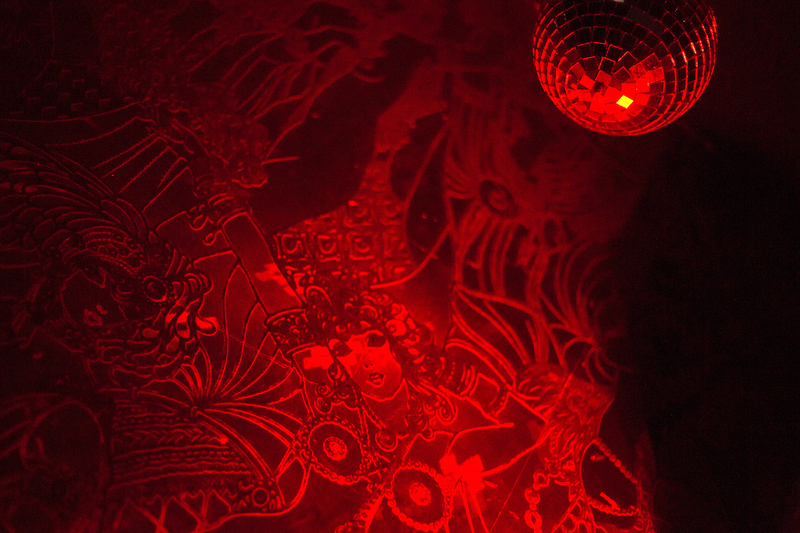 Stepping into Dortmund’s Tanzcafe Oma Doris club is like going back in time. Originally opened in 1976 and called Tanzcafe Hösl, it’s retained many of its original features since then. For generations, the club has remained something of a shining light for underground dance music. The current owner, Ben Bolderson, took over from his grandmother, the titular Doris Schulenkorf, in 2013. Now, with the help of parties like our upcoming Telekom Electronic Beats Clubnight with Roman Flügel on June 1, he’s trying to bring some energy—and subculture—back to Dortmund. Today, the club’s most important parties are the True series, run by promoter and booking director Tobias Thimm, and the in-house Oma Doris Tanzt cycle, which bring a range of energetic DJs like Gerd Janson, Job Jobse and Move D.
Although the music has changed since the popular Schlager selections of the 1970s, the club has always remained in the heart of the city. One thing that hasn’t changed, however, is its incredible interior design, which has remained mostly unchanged. Its understated facade is one of the oldest in the city. “You have to know that this is the center of the center of Dortmund,” says Bolderson. “You can’t copy it.” Past the unmarked door and up the concrete stairwell lies a dark and warm atmosphere. 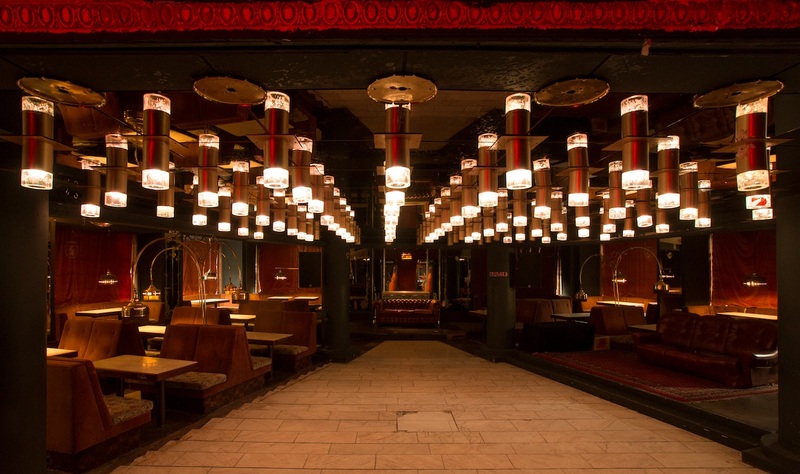 Dozens of low, red-velvet-lined booths line up in rows radiating around a sunken dancefloor. The corners of Oma Doris evoke a feeling of Lynchian film noir that’s refreshing at a time when many venues in Germany resemble concrete bunkers. 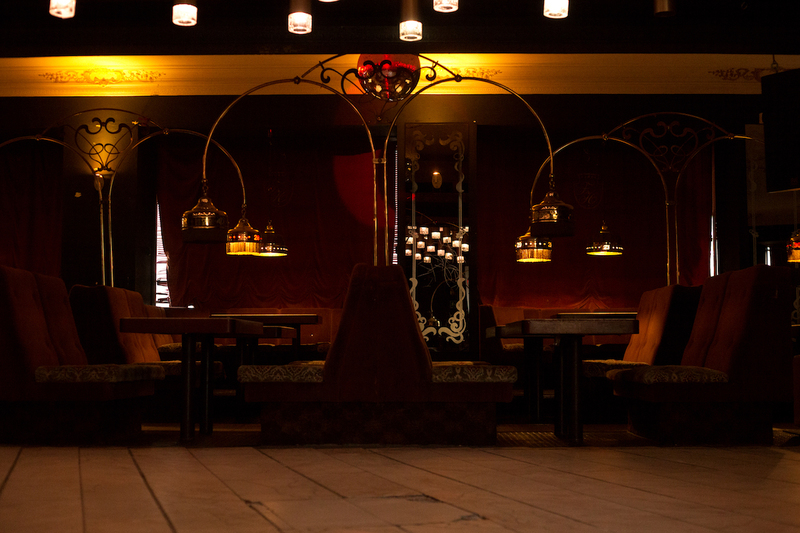 Each booth lamp bears a number, like a window into the antiquated tradition of the old-school German Tanzcafé—a place to gather and drink tea or coffee in between periods of dancing. Prospective courters could even call other tables and ask the other to dance. Though the general concept is the same, the club’s technology has been updated with a personalized Martin Audio soundsystem, an E&S DJR400 rotary mixer and a pair of calibrated Technics 1200s. But Oma Doris’ storied history hasn’t changed the fact that the majority of the city doesn’t listen to underground dance music. “There was a time when it didn’t matter to us,” says Bolderson. They booked only DJs they liked to dance to. “We had to learn that it’s not always correct in a city like Dortmund.” Even though concession is at times essential, Bolderson and Thimm remain determined. DJ and promoter Jan Bielefeld (a.k.a. Mr. Fries) is both a product and proponent of that perseverance. Interested in underground subculture, Bielefeld found few fertile options to nurture his craft in Dortmund. He initially worked at the club off the dancefloor before becoming one of the club’s resident DJs. For artists like Bielefeld, the looming presence of bigger scenes like Berlin, Amsterdam or London remains. But the creative brain drain—something that Dortmund has struggled with in the past—is shifting. “I think that whole perspective changed a little bit,” says Bielefeld. “[I have] the feeling that more and more people doing creative stuff are staying here.” For Bolderson and Thimm, it’s a sign that Dortmund is different than it used to be. As the two reflect on years past, sitting on a plastic pub table outside the club’s main entrance, Oma Doris arrives spontaneously. After parking her white cabriolet Peugeot, she exits the car and introduces herself. “Hi, I’m Oma Doris,” she says. But the municipal government is not doing all they can to make things easier for club owners. “We pay a 20 percent [amusement tax] on the entrance fee,” says Thimm. “It’s weird because it’s only applied for prostitution, dancing and casinos.” In Bavaria by contrast, the law is not enforced, while in Berlin the tax is only applied to slot machines, but not dancing or prostitution. It’s not just the taxes that differ. There is less public understanding and appreciation of dance music in Dortmund in comparison to scenes in nearby Cologne and Düsseldorf. 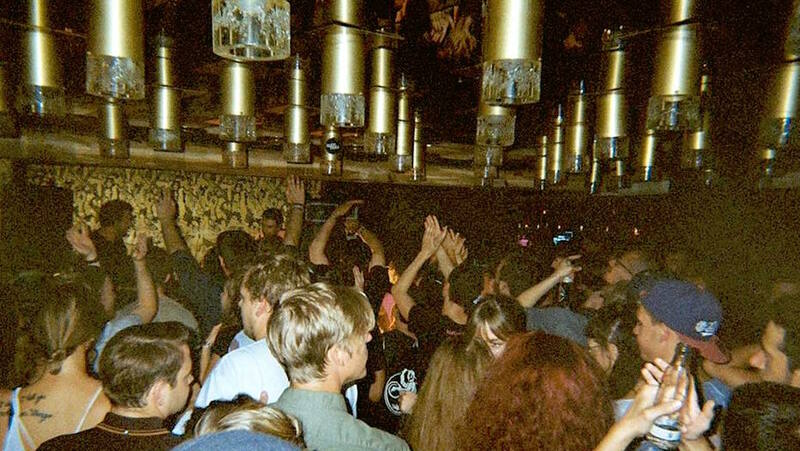 In the 1990s, Oma Doris found itself at the heart of a late-blooming house music community in Dortmund. Bolderson says that each Friday there was a flourishing house music party that reigned for most of the decade. Somewhat inexplicably, he says it died at the turn of the millennium. That’s what Bolderson is trying to bring back.